You love swimming. You don’t love caring for your swimming pool. What’s an Arizona swimming pool owner to do? We recommend that you hire a pool service contractor for summer 2019. Swimming pool owners know that once the pool is open, your home will be the most popular place to escape the heat of the summer. What that means is that the more the merrier, but it also means the more maintenance will be required to keep the pool swimmable for everyone. You might wonder, “why should I hire a pool service contractor?” If you’ve cared for your pool in the past, you know what a hassle it can be. You will have to buy and store all of the pool chemicals. You will also need to spend time cleaning the swimming pool instead of enjoying your free time by swimming in it. 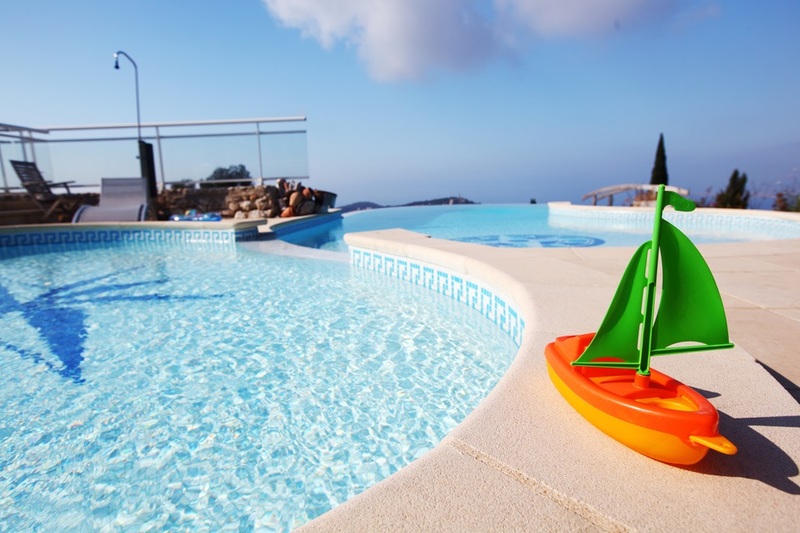 What are some of the reasons to hire a pool contractor to undertake the responsibility of caring for the pool on your behalf so you can just have the fun? Seriously, though even if you hire a pool contractor there are still in-between pool service visit tasks you will want to keep up with, but they won’t take much time at all. Your pool contractor will perform clean up after a monsoon. He will test the water and add the chemicals. He will bring chemicals with him so you won’t have to find a safe place to store them. A pool service contractor will be on a reliable schedule for caring for your swimming pool. It is easy for you to skip pool water testing or pool cleaning because you get so busy with life and if you’re out of the habit. A pool that is neglected is one that can quickly become home to algae. He will backwash the pool when necessary. You have a swimming pool because you want to swim, have pool parties and spend time with your family, righ? You don’t want to have your swimming pool and its maintenance be something that takes you away from time with friends and family. To alleviate that, hire a pool service contractor this summer.